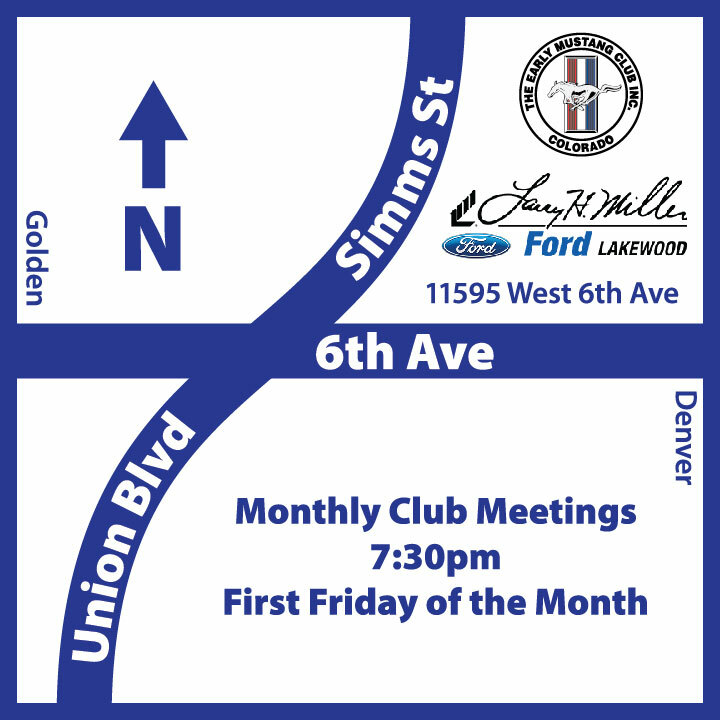 The Board of Directors holds a meeting on the first Friday of each month at 7:30 pm. The meeting is open to members, who are encouraged to attend and to share their interests and ideas in planning Club activities. The Club sponsors or participates in at least one activity each month, usually planned for family participation and held on the third or fourth Sunday or weekend of the month. All events, activities and news of interest are announced in a monthly newsletter. © 2015 Early Mustang Club, Inc. All rights reserved.